It’s no secret that bone broth is beneficial to your health – so I’ve gathered up some of my favorite bone broth recipes into one easy location. From how to make your own bone broth to recipes that incorporate bone broth to recipes where bone broth is the featured ingredient – they’re all here in one spot for you to choose from. From gut health, to join health to reducing inflammation – bone broth has so many health benefits it’s no wonder people love bone broth these days. And bone broth isn’t just for the cold weather season; there are even recipes to keep you enjoying the benefits of bone broth year round! 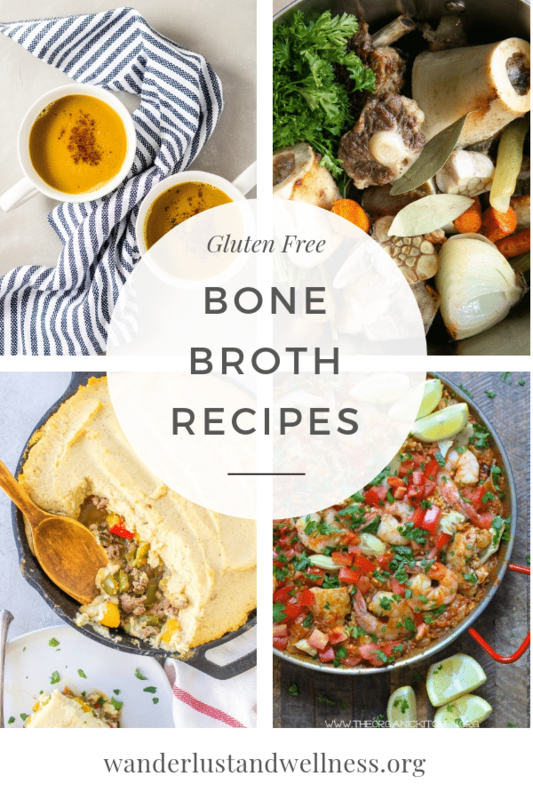 From how to make your own bone broth to delicious bone broth soups to bone broth lattes – you’re sure to find delicious bone broth recipes to add to your recipe collection. 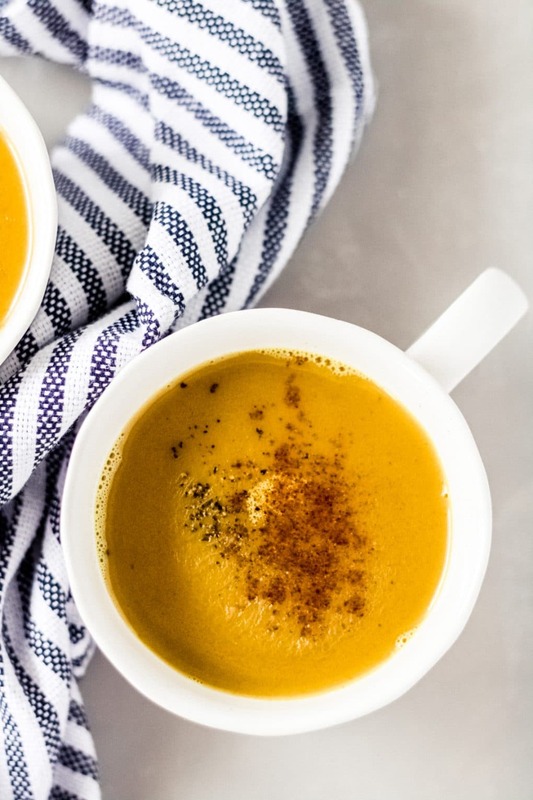 Bone Broth Turmeric Latte – Switch up your morning drink routine with this collagen-filled latte! Bone Broth Gravy – A simple gravy recipe using homemade or store-bought bone broth. Bone broth is rich in both vitamins and nutrients. It’s a natural source of gelatin which breaks down into collagen which is helpful for joints, skin, and nails. The overall nutritional value of bone broth depends on the the quality and type of bones used, other ingredients included in the broth, and cook time. Bone broth is essentially stock, however, recent health trends started referring to stock as broth. Stock is made with bones and contains more gelatin that seeps out from the bones as they cook, whereas broth is normally thinner and made with meat rather than bones. With recent Paleo and other wellness trends, stock started to be referred to as bone broth. Do you just drink bone broth? You can, however, you don’t have to solely drink bone broth. As you can see with the recipes we’ve collected here – bone broth can be incorporated into a variety of recipes. What are the best bones for bone broth? The best bones for bone broth are those high in collagen, like oxtails, knuckles, shank, short ribs, feet, neck bones, and bones with marrow. Looking for a specific bone broth recipe? Shoot us an email or comment below to send us a request!